There are a number of beaches in and around Stanley Park. People swim at most of the beaches only during the summer months, except for the world famous polar bear swim on English Bay beach on New Year's Day every year! Dogs are not allowed on the beaches except for the off-leash dog beach in False Creek. Some of the beaches, e.g. English Bay Beach and Third Beach can be crowded during the summer, where other beaches, such as Sunset Beach doesn't ever get too busy. There are a number of other much smaller beaches all around Stanley Park on which people sunbath and swim! 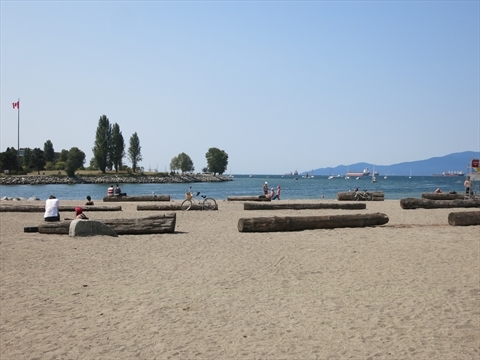 The beaches around Stanley Park have a unique west coast feel because of the giant logs that are on the beaches on which people lean against and sit on. We hear many foreign visitors comment about the logs on the beaches. During the summer there are lifeguards at Sunset, English Bay, Second, and Third Beaches. Most people wear clothes at the beaches around Stanley Park, but occasionally you will get a nudist or two! The region's nudist beach is called Wreck Beach and is on the south side of the University of British Columbia campus. 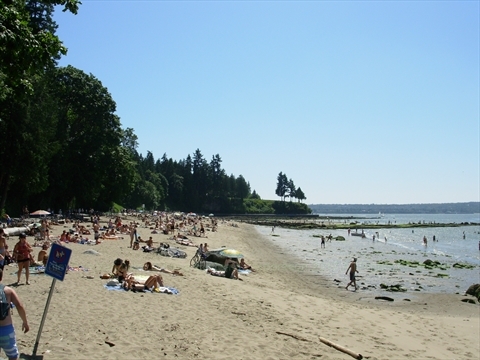 Second Beach is a popular beach located next to Ceperley Park on the north side of Stanley Park. This is a popular beach with the Ceperley Park picnicers. 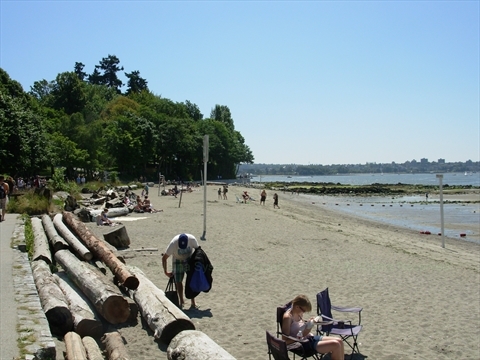 Third Beach is a very popular beach located on the west side of Stanley Park. It is arguably the best beach in Stanley Park. There are a number of small beaches along the north side of Stanley Park between Lumbermen's Arch and Brockton Point that are rarely used. The tides in front of these beaches are very dangerous and this also lots of seaweed, so these beaches are better just for sunbathing. 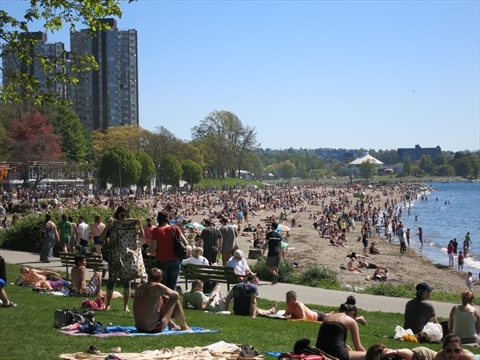 English Bay Beach (First Beach) is the best known and most popular beach in Vancouver. It is a good place to lay in the sun, play volleyball, and swim. English Bay Beach has a beach, bathhouse with change rooms and washrooms, a restaurant, kayak and paddleboard rentals. The seawall passes along the entire beach. There are a number of small beaches along English Bay between English Bay Beach and the entrance to Stanley Park. Sunset Beach is actually a couple of small beaches on the north side of False Creek near the Vancouver Aquatic Centre. Normally, it is less busy here than other beaches. 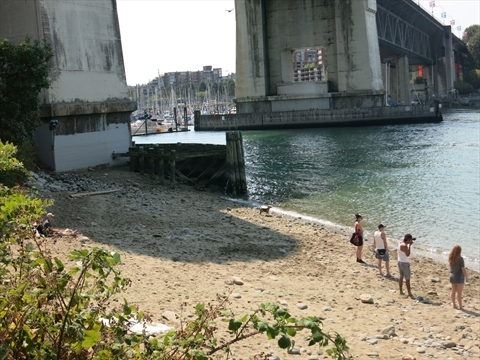 There is an off-leash dog beach on the north side of False Creek between the Vancouver Aquatic Centre and the Burrard Street Bridge.